Director, Ava DuVernay, explores the issue of mass incarceration in the United States and the insidious evolution of slavery. 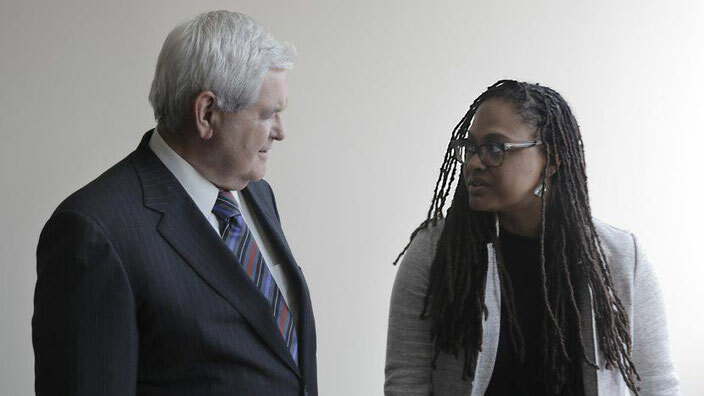 Ava DuVernay hopes that every American citizen will see her latest film, 13th. She admits that this is, perhaps, “a tall order, but a girl can dream”. I would, humbly, like to go even further. I think everyone should see this Netflix documentary. The story that it tells is unbelievably powerful and undeniably relevant. 13th starts by addressing a truly stunning statistic. The US - often called the land of the free - has the highest incarceration rate in the world. Even more shocking is the fact that one in three black males in America will go to prison at some point during their lives. That's compared to one in 17 white men. 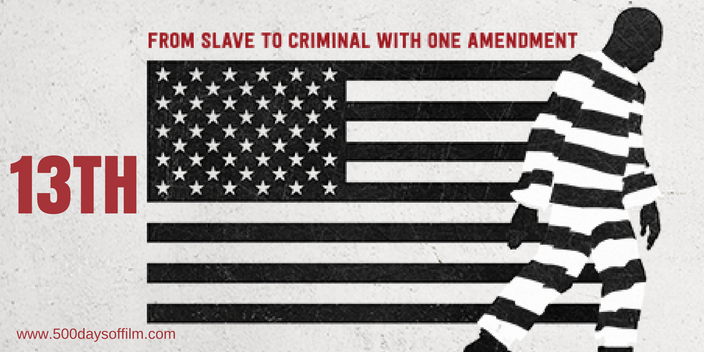 DuVernay’s documentary looks at what lies behind this discrepancy. A series of fascinating experts and academics explain how, after years of fighting for freedom and equality, black communities are still waiting for a change that is surely gonna come. A major victory came, of course, in the 13th Amendment to the US Constitution (passed by the Senate on the 8th April, 1864). The 13th Amendment states that “neither slavery nor involuntary servitude, except as a punishment for crime whereof the party shall have been duly convicted, shall exist within the United States, or any place subject to their jurisdiction”. The abolition of slavery proved a deep economic blow to the South. As a result of the significant fall in productivity, employers and landowners sought to exploit a loophole in the Amendment - slavery is permitted if a person has been convicted of a crime. Society (via films such as D. W. Griffith’s Birth Of A Nation) was then conditioned to view black males as criminals and mass arrests ensued. Freed slaves found themselves facing involuntary servitude once again - often the result of remarkably minor crimes. 13th also examines the legacy of America’s Civil Rights movement and argues that achievements in places such as Selma (events depicted in DuVernay’s film of the same name) have since been thwarted by the US criminal justice system. The documentary contends that the war on drugs - instigated by President Nixon and endorsed by both President Bush and President Clinton - was actually a war on American communities of colour. The film includes some truly shameful (off the record) statements and horrifying statistics in support of its case. If the evolution of slavery and mass incarceration in the US were not enough for one film to cover, DuVernay moves on to discuss the $80bn industry of imprisonment. Incarceration is big business and 13th argues that it is in the interests of many powerful corporations to keep US prisons filled. “We have a criminal justice system that treats you better if you are rich and guilty than if you’re poor and innocent,” explains Bryan Stevenson, the founder and executive director of the Equal Justice Initiative. As a result, 97% of prisoners in America agree to guilty plea deals and serve time rather than go to trial. Time and time again, 13th refers to the forced criminality of the black man - tracing a line from Birth Of A Nation, via The Central Park 5 and Oscar Grant to the distressing scenes that we witness on the news and social media today. DuVernay’s film weighs heavily on its audience. It will certainly stay with me for a long, long time. There is a remarkable amount of information to consume and much ground is covered. However, there is no attempt to suggest a solution. The answers are up to us to find. and Murder On A Sunday Morning and also Fruitvale Station, Ryan Coogler's powerful film about the shooting of Oscar Grant. If you have, what did you think about Ava DuVernay’s latest film? Let me know by leaving me a comment in the box below.